An interesting one from Grist – a report from Goldman Sachs has highlighted the financial investment risk of coal export terminals in the US. Grist starts off by highlighting the famous Warren Buffet saying that the financial investment in new coal fired power stations is a bad bet – certainly something that has been muted in Australia. Plus the fact that a large proportion of the planned new power generation facilities are renewable or gas is a good indication of the lack of financial viability of coal, not sure what this means for CCS. The article then goes on to suggest that US coil companies are now starting to look at coal exports as a way of continuing a revenue stream from thermal coal – if I can’t sell it locally, flog it elsewhere. 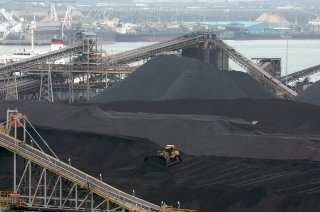 We have certainly been taking advantage of the rapid growth in China and India, particularly the need for thermal coal. And this is the main reason that Goldman Sachs are suggesting that coal export terminals are a bad financial investment. So Goldman Sachs are betting that companies will slowly move away from coal. I wonder if governments will move away from subsidising coal as well. At the moment the Australian Government invests about $1billion / year in coal industry subsidies – that’s a lot of bad bets!